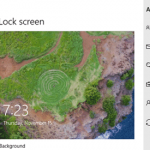 Home » Windows » How to Configure Password Lock Screen on Windows 10? How to Configure Password Lock Screen on Windows 10? 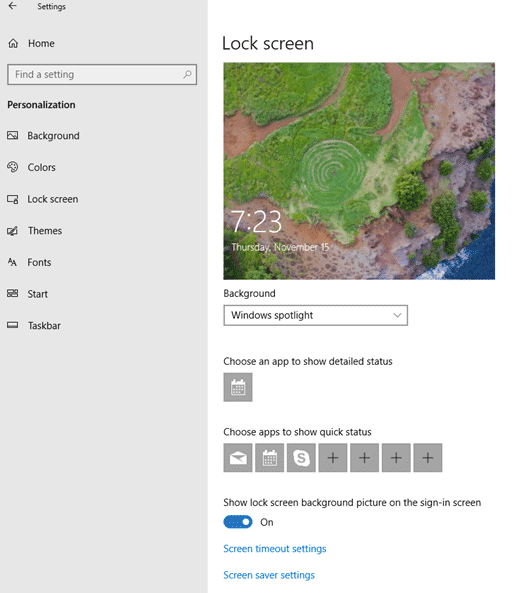 You can configure Windows 10 to lock screen after a certain time of inactivity, display the screen saver and you need to enter a password to login the system. The password on the Windows 10 lock screen won’t allow an unauthorized person to access your device when you are not nearby. To remove the lock screen and log in to the computer, you must enter the correct password, PIN or graphical key. A computer or tablet with Windows 10 displays a lock screen when it resumes from sleep or hibernation, or after a specified period of user inactivity (the keyboard and mouse are not used). To request a password on the lock screen, it is necessary that a password for your account has been set. You can set a password in Settings > Accounts > Sign-in options. You can set one of the following password options: classic password, PIN, or pattern. Also, make sure that the Require sign-in parameter is set to When PC wakes up from sleep. In Windows 10 1703 and higher, the new Dynamic Lock feature has been appeared. 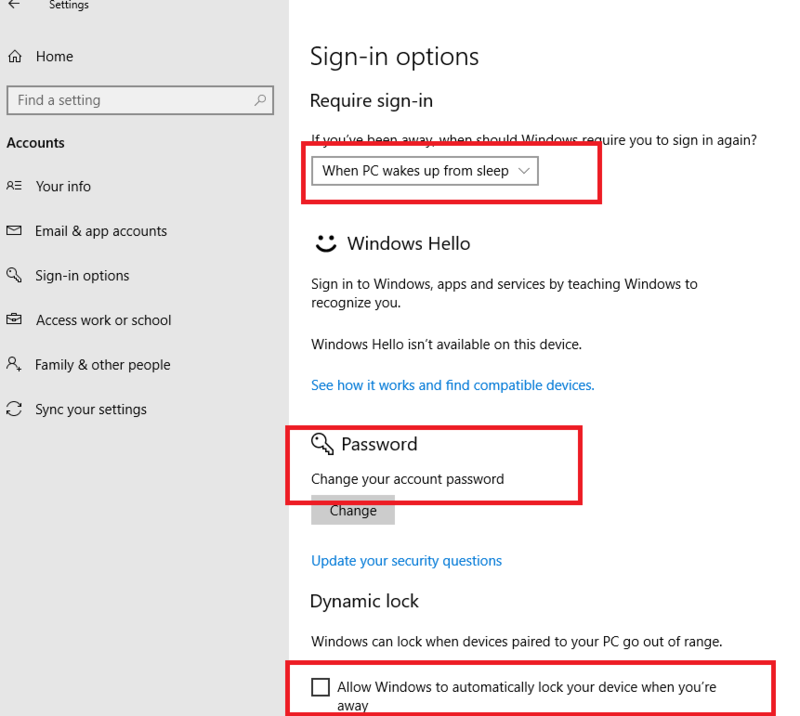 When you turn on the “Allow Windows to your device when you’re away” option, Windows10 can be locked with a password when you go away from your computer with a synced smartphone (or turn off Bluetooth on it). You can immediately lock your computer by pressing the Win + L key combination or by running the command: %SystemRoot%\system32\rundll32.exe USER32.DLL LockWorkStation. The lock screen settings are configured in the Settings > Personalization > Lock Screen section. 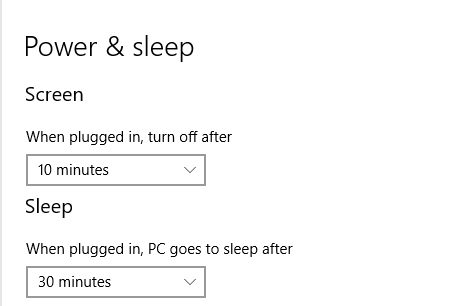 When plugged in, PC goes to sleep after. 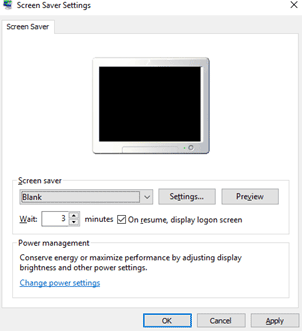 In the Screen saver setting section, you can specify the idle time after which the computer will be blocked. In the drop-down list, select the screen saver, in the Wait field specify the inactivity time after which the screen saver will turn on, also check the On resume display logon screen option. Now, after the specified inactivity time, the screen saver will turn on. Then you should touch the keyboard or mouse, the login screen will open and will ask for a password or key to login the system. Make sure that the Do not display lock screen policy is not configured or disabled. 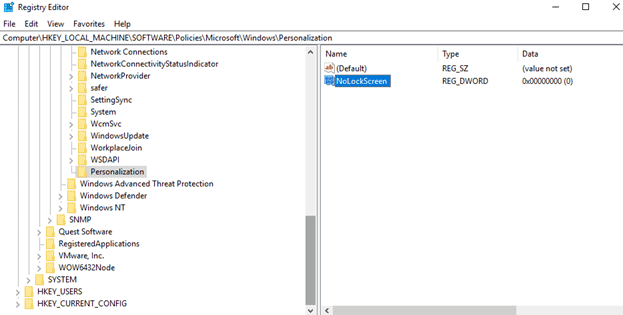 Also open the registry editor regedit.exe, go to the registry key HKLM\SOFTWARE\Policies\Microsoft\Windows\Personalization and check that the NoLockScreen parameter with a value of 1 is missing in this section. To enable the lock screen, change the parameter value to 0 or delete it. The lock screen in Windows 10 is an UWP application Microsoft.LockApp, which is located in the folder C:\Windows\SystemApps\Microsoft.LockApp_cw5n1h2txyewy. If for some reason this application is removed, the lock screen will also not be displayed.